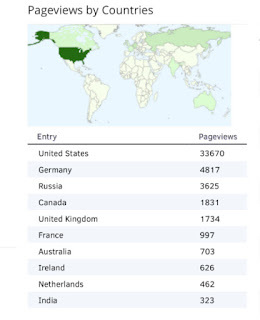 This blog has had just shy of 59k page views since I started working on it four and a half years ago. I know probably half of those are bots, but, to the other half, I appreciate your views. I'm especially touched by the people of Germany, Russia (oh no a Russian connection! 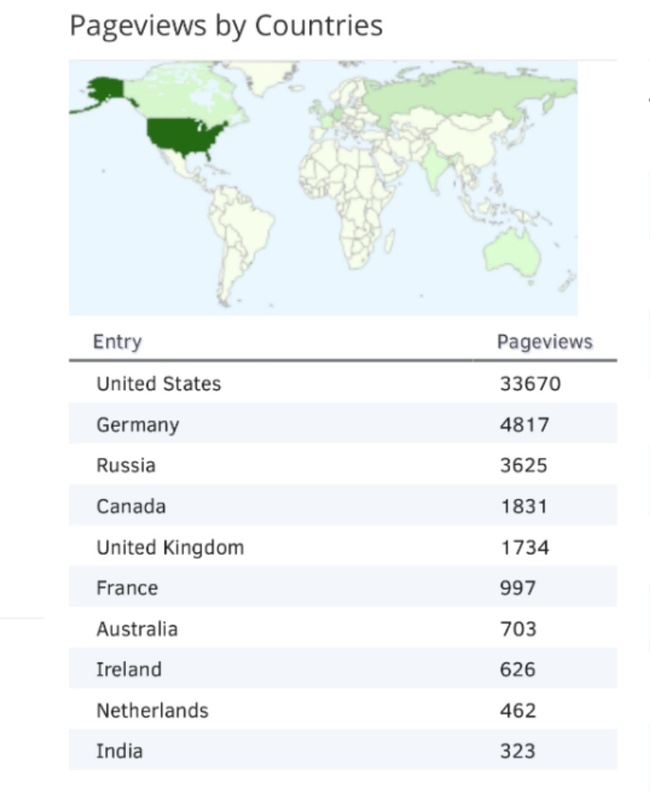 ), Canada, the UK, France, Australia, Ireland, the Netherlands, and India who have contributed the most page views from outside of my home country. I know that this blog isn't wildly popular or necessarily relevant to the majority of the population, but I do want to say thank you to the tens of thousands of people who have taken the time to stop by my little corner of the internet. Thanks!